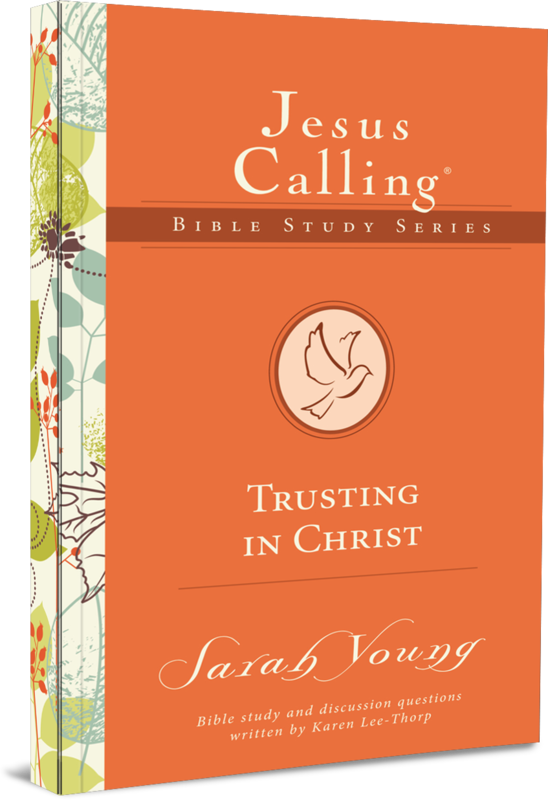 Sarah Young’s devotional writings, which have sold more than 14 million copies, are personal reflections from her daily quiet time of Bible reading, praying, and writing in prayer journals. 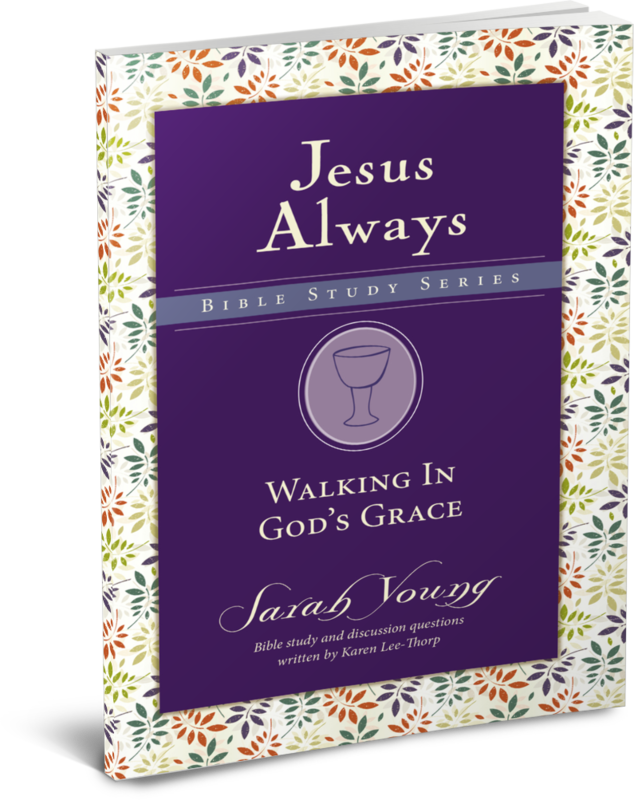 Her journey with Jesus has been strengthened and deepened by challenging health issues, including years of battling severe Lyme disease and vertigo. 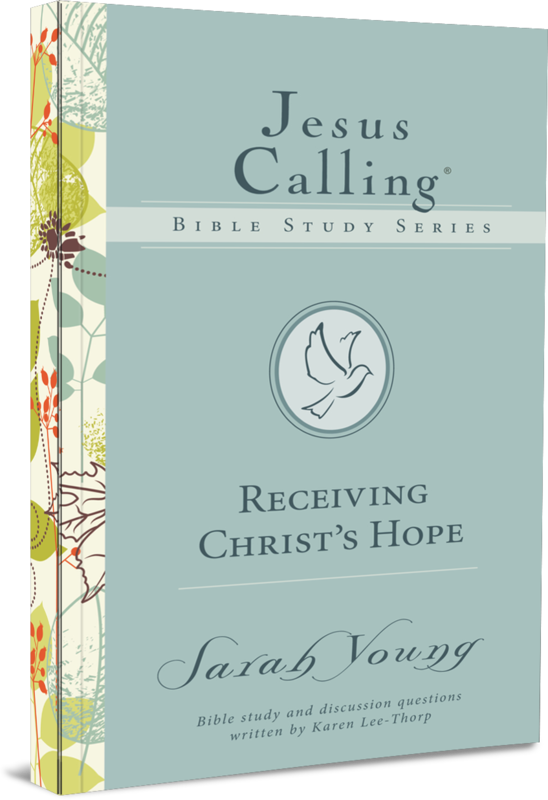 Sarah and her husband were missionaries in Japan and Australia for many years, and currently live in the United States. The love of Jesus, when embraced and received, will overcome any stronghold in your life. His Inseparable Love restores our loss. His Everlasting Love survives our failure. His Abounding Love overflows our capacity. His Compassionate Love suffers with us. His Healing Love cures our suffering. His Fearless Love overcomes our insecurities. His Persevering Love accepts us as we are. Explore what the Bible says about Jesus’ amazing love. 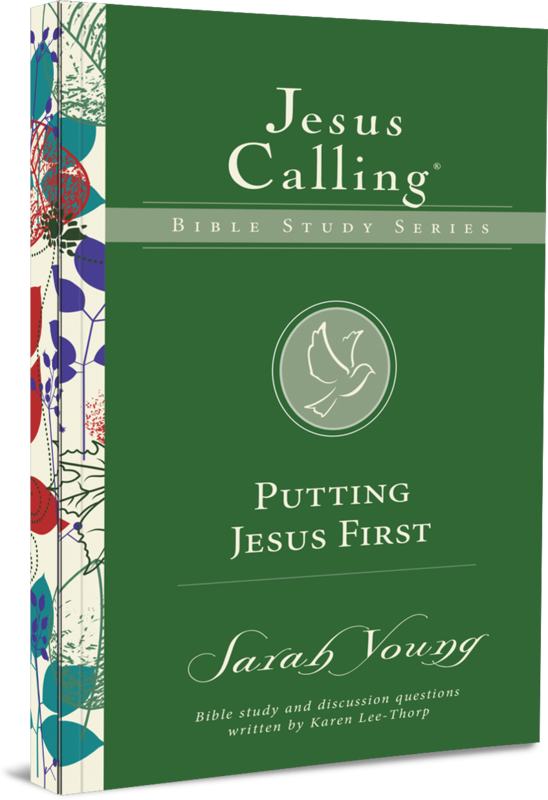 It might seem audacious to determine to lead a joy-filled life, but that’s exactly what the Bible urges us to do. 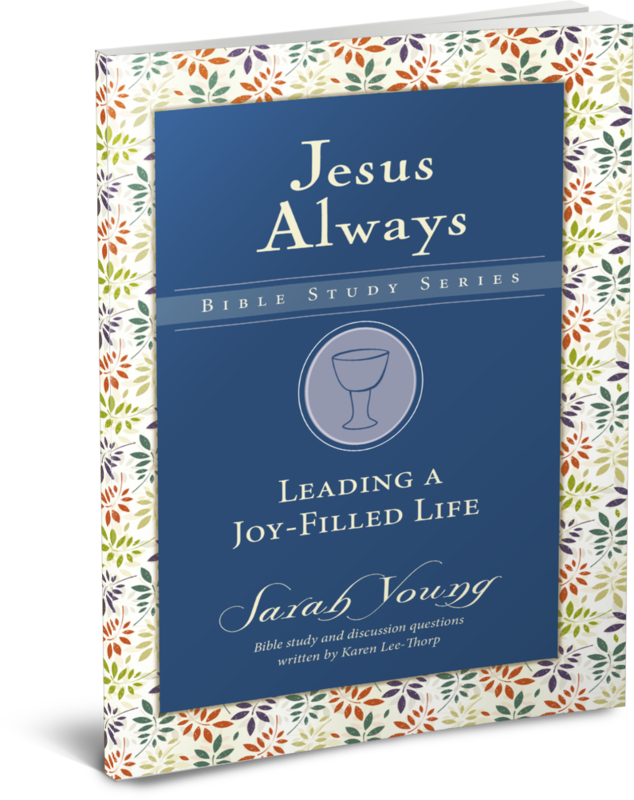 Discover in Scripture how to choose to be joyful, and how joy affects every area of our lives. The basis of our joy is our salvation. The essence of joy is that it transcends our circumstances, it overcomes fear, it withstands suffering. Joy gives us strength. Joy brings healing. “How can I know God’s will for my life?” is a burning question for many of us. 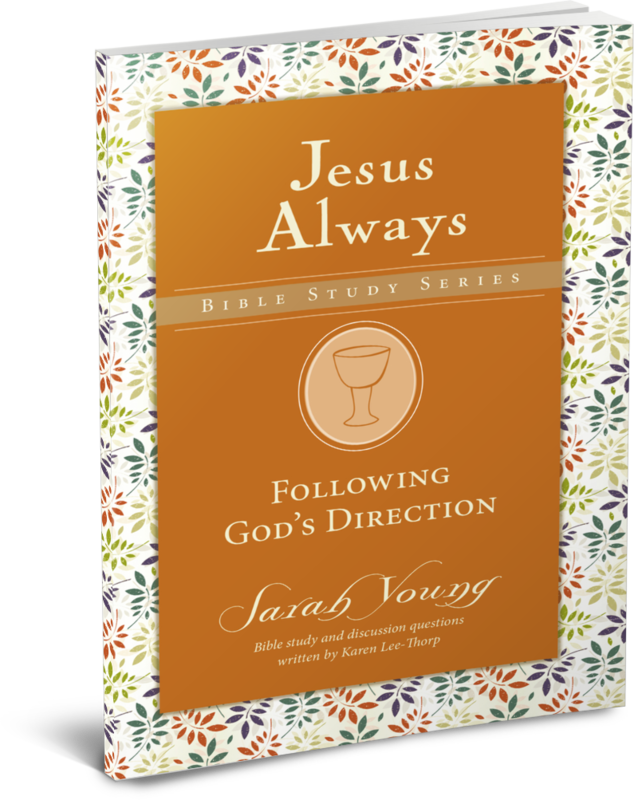 Discover the life God intends for you by following him with all your heart, mind, and soul. Follow God by treasuring his wisdom and by trusting in him and honoring him. Follow God by praying for guidance, by shunning worldly wisdom, by loving his Word. And follow God by listening to the Spirit of Truth, and by obeying the Spirit’s promptings. Grace. It goes against our grain. It seems we are wired to return the favor, earn our keep, or pay him back. Yet no amount of effort will buy what God’s grace freely gives. Unearned Grace is being treated far better than we deserve. Outrageous Grace pays all our debts. Rescuing Grace never fails to forgive. Glorious Grace lavishes us with love. Saving Grace heals our dysfunction. Transforming Grace sets us free. And weakness juxtaposed with grace displays God’s glory. “Be still, and know that I am God” (Psalm 46:10). This is one of Sarah Young’s favorite Scriptures, and the basis of her approach to writing the Jesus Calling devotionals. You will be encouraged to lay down your cares and just spend time each day with your heavenly Father. As you follow the Lord’s instruction to be still, you will encounter his peace, be filled with his strength, and gain a new perspective on your situation. “Those who hope in the Lord will renew their strength” (Isaiah 40:31). Explore the promises God makes in his Word about finding shelter and security in him, even when things seem hopeless. “We know that suffering produces perseverance; perseverance, character; and character, hope” (Romans 5:3-4). As you allow God’s love to seep into the inner recesses of your being, stay faithful to God even in your suffering, and let the light of his presence fill your heart with hope. “Praise be to God who has blessed us with every spiritual blessing in Christ.” (Ephesians 1:3). Explore what God’s Word says about the many ways he provides for you—and why you should give thanks to him for this abundance. Even during trials, you can have an attitude of thankfulness. When you realize the depth of God’s love and the lengths to which he went to reconcile you to himself, it naturally causes you to want to praise him! “And the peace of God, which transcends all understanding, will guard your hearts and your minds in Christ Jesus” (Philippians 4:7). God offers us peace when we trust in Christ and rely on the Holy Spirit's work in our lives. That peace then cycles back and increases our trust, because we come to recognize the blessings we have been given. That in turn increases our thankfulness, regardless of what we are facing. “My God will meet all your needs according the riches of his glory in Christ Jesus” (Philippians 4:19). As you face the demands of the day, give your cares to him, and encounter him personally through his Word, you will discover you can rely on him to meet all your needs. Experience God’s love for you, his practical care for you, and his provision of the strength you need to get through any situation. “Give thanks in all circumstances” (1 Thessalonians 5:18). Discover how thankfulness and worship always open the door for entering into God’s presence and blessings. Even the most routine part of your day can be a spiritual act of worship when you are living close to God. 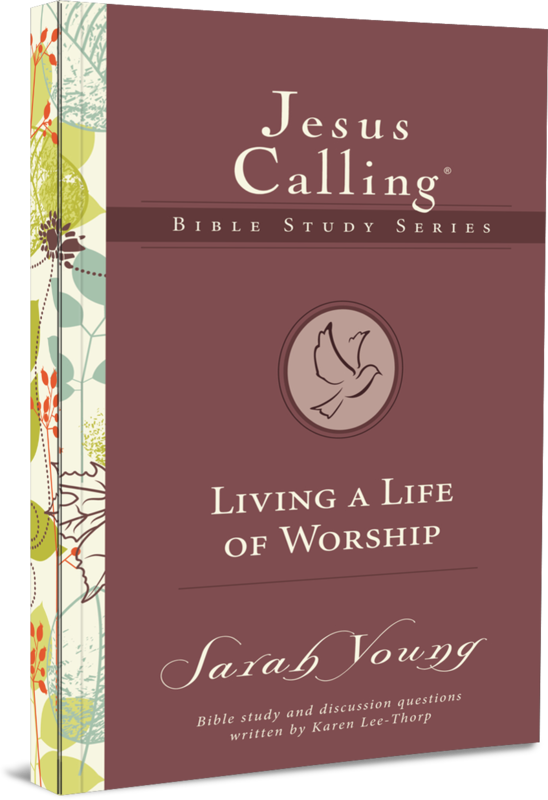 Look at your circumstances from God’s perspective—that’s how you can live a life of worship. “The Lord is my helper, I will not be afraid. What can mere mortals do to me?” (Hebrews 13:6). Discover how God calls each of his children to not only resist fear but also move through life with courage. God’s Word reveals that the Lord is always with you and always willing to empower you with strength from the Holy Spirit. Confidence comes when you walk in God’s ways and recognize that he is on your side. Seek first [God's] kingdom . . . and all these things will be given to you as well" (Matthew 6:33). Place Christ first in every part of your life. Rely on him in the busy times, anxious times, uncertain times, and lonely times. While the world offers many distractions and priorities for you to chase, the Bible is clear that peace and fulfillment only come as you put God's agenda first, always.